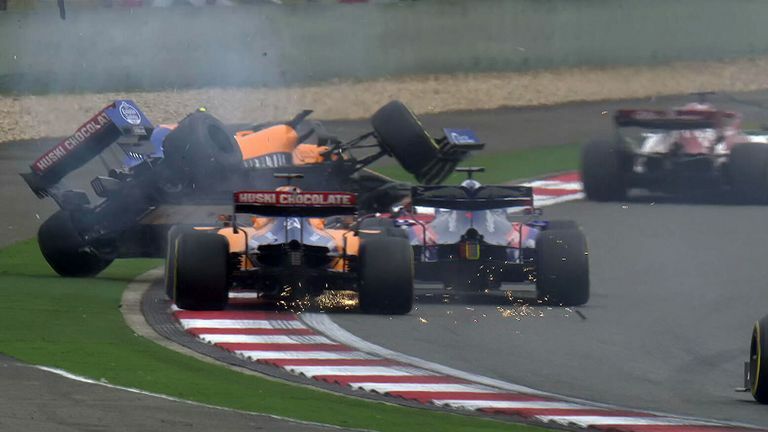 There was carnage at the start of the Chinese GP as Daniil Kvyaat crashed into both McLarens of Carlos Sainz and Lando Norris. Kvyat got out of shape at Turn Six and clipped the wing of Sainz’s McLaren which then launched him into Norris’ car. The British teenager was sent airborne and with both McLarens needing to pit for repairs, it sent them tumbling to the rear of the field. When’s the Chinese GP on Sky? Kvyat was given a drive-through penalty by the stewards for causing the collision. It continued a difficult weekend for McLaren, having failed to get a car into Q3 for the first time this season as Sainz and Norris lined up 14th and 15th respectively. 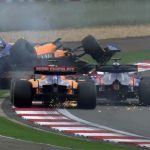 “Sainz just got sandwiched between the two of them,” Anthony Davidson said.